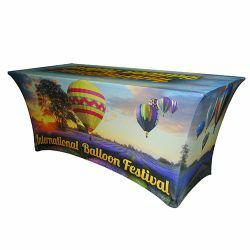 These Printed Spandex Tablecloths are a true stretch product. Notice the nice contour shape. 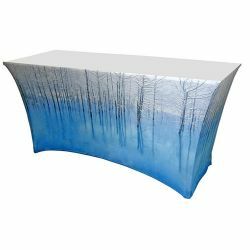 Custom size printed tablecloths are available. 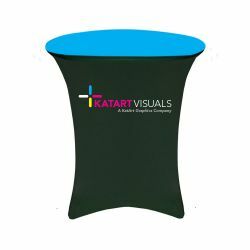 Please email or call 800-410-0553 with your special table covering requirements.